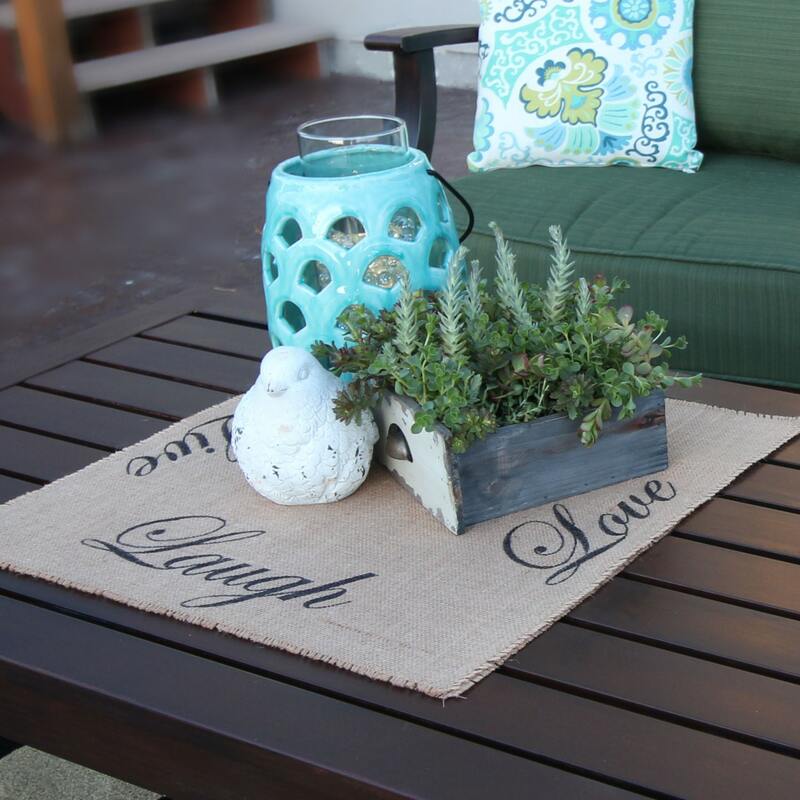 Add character to your home with a well styled table. 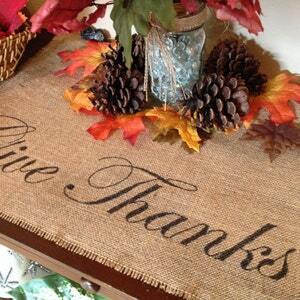 This charming burlap centerpiece mat is the perfect foundational element to build upon. Add a simple floral arrangement or get creative styling a home decor feature. 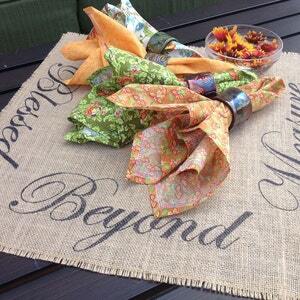 The burlap table mat is an understated and stylish way to express yourself! 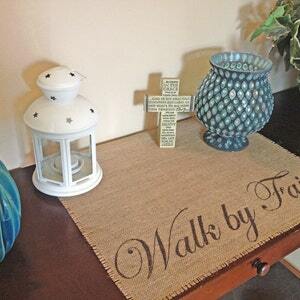 This mat is a sizable 18" wide by 18" tall square, designed with your table centerpiece or entryway table in mind. 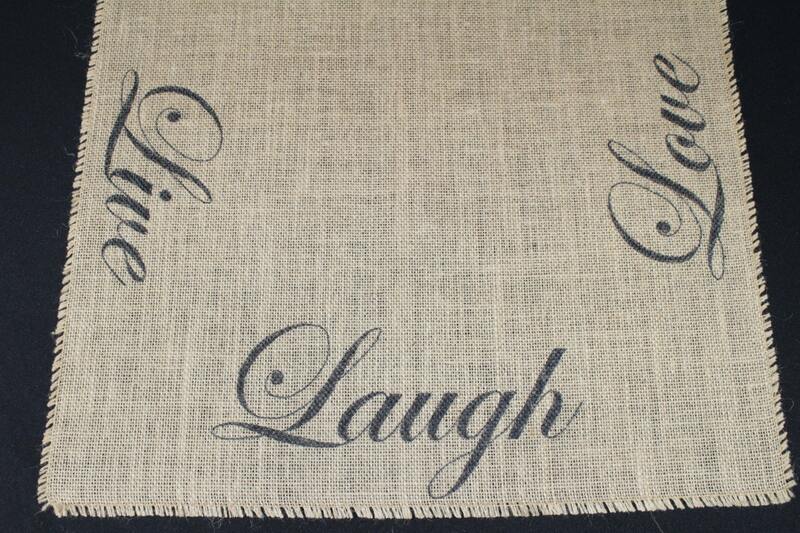 Live, Laugh, Love is printed directly onto the burlap with specialty textile ink; no paint, no vinyl, no stickers, just burlap. 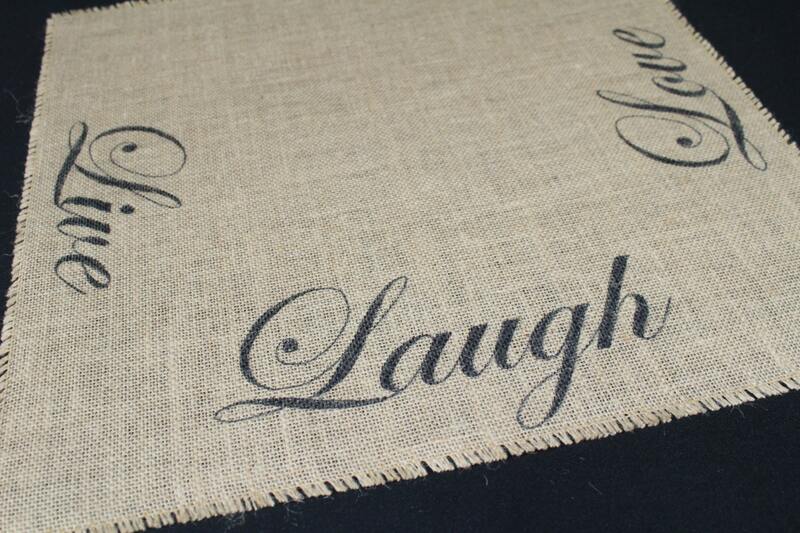 Speaking of burlap, I'm a stickler for using only the highest, premium quality burlap. There's no place for smelly burlap that will shed all over. I have our burlap shipped directly from the mill on the East coast, specifically for it's smooth texture and tight weave. The edges have been frayed and sewn to prevent further fraying. 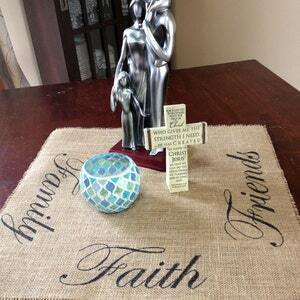 Don't forget to check out our other burlap home decor accessories!